The moment of truth — consideration of a fee increase for rooftop-solar customers of Arizona Public Service — is upon Arizona’s all-Republican Corporation Commission. The moment is an uncomfortable one. Two of the sitting commissioners are widely believed to have enjoyed as much as $3.2 million in “dark money” campaign support last year from APS, and more than a few critics suspect the utility tail is wagging the regulatory dog…. They are not the only commissioners compromised by events from last year’s campaigns. 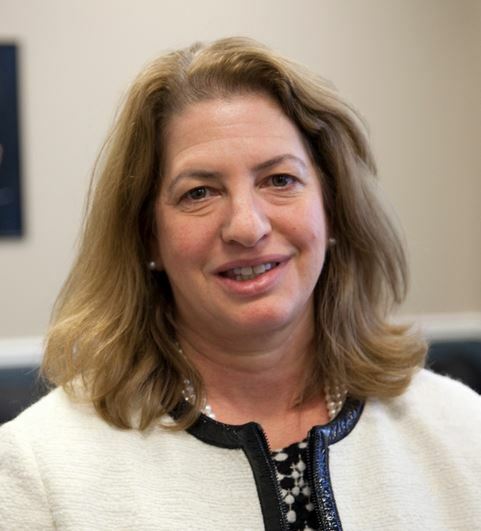 A Washington, D.C.-based watchdog group has been struggling for months to obtain text messages from the cellphone of another commissioner, Bob Stump, who the group suspects may have acted as an intermediary between the independent campaign groups and the GOP candidates. Video from 12 News (8/14/15). State utility regulator Bob Burns wants lawmakers to tighten up the state’s Public Records Law, possibly setting up a “gatekeeper” who would have to approve — and could deny — requests. Burns, a former state Senate president, said his concerns started with the ongoing battle for the text messages of fellow commissioner Bob Stump. The Checks and Balances Project is questioning a series of texts just ahead of the 2014 Republican primary. Burns said that what already is known about the pattern of Stump’s tests “certainly looks a little bit strange” and may merit the kind of requests made of the Arizona Corporation Commission for the contents. Once looked to for sound reasoning in the ongoing saga of Trash Burner Bob Stump and his dubious (and clandestine) communications with Koch-addict Sean Noble, Arizona Public Service president Don Brandt and Brandt’s newest wholly-owned corporation commissioners Little and Forese — Bob Burns now says it’s time to shut down public records access for pains in the government bee-hind like the Checks and Balances Project. As reported last week in the Arizona Capitol Times, Corporation Commissioner Bob Burns is exasperated after fighting for three months with a Washington, D.C.-based open government group seeking another commissioner’s telephone text messages. So, rather than just give the Checks and Balances Project what it wants, Burns proposes the opposite approach: Require the courts to approve public-records requests. In other words, he wants to require search warrants. The changes would affect only new solar customers, not those who installed solar before the fees were approved in 2013 or those who pay the 70-cent fee today. They also would not affect solar water heating, only solar electric. Controversy surrounding the issue increased dramatically last year when Republicans Tom Forese and Doug Little won election backed by $3.2 million in advertising by independent political groups supporting them and opposing the other Republicans in the race. Forese and Little’s Republican primary challengers were backed by the rooftop-solar industry. APS has declined to answer repeated questions about whether it was funding those campaigns. Almost two years ago, the Arizona Corporation Commission approved a controversial plan by APS to raise rates on solar customers. * Utility monopoly APS as a political gorilla in Arizona with untold and undisclosed cash to spend to elect the five members of the commission that sets its rates — and ours. * The all-Republican Corporation Commission as a captive of APS. One current Corporation Commissioner – Bob Stump — and a former Corporation Commissioner — Gary Pierce — are being investigated by Republican Attorney General Mark Brnovich’s office over allegations they got too cozy with APS. For months, the Checks and Balances Project has been trying to get a look at Commissioner Bob Stump’s text messages sent on his commission-supplied phone during the 2014 campaign season. Specifically, it’s interested in what Stump was talking about in his multiple exchanges with an APS official, the head of a dark-money group believed to be tied to APS and a couple of commission candidates elected with the help of that dark-money group. It would seem that Mr. Burns doesn’t think the public has any right to get a glimpse into just how cozy (or not) APS has become with the commission that supposedly regulates it. Why Was Barrett Marson Hired as Spokesman for the Arizona Corporation Commission? On June 19, the day that our attorney, Dan Barr, sent a letter to the Arizona Corporation Commission (ACC) demanding access to former Chairman Bob Stump’s cell phone, ACC Executive Director Jodi Jerich fired long-time Commission spokesperson Rebecca Wilder. Five days later, the ACC hired Barrett Marson to serve as the ACC’s PR consultant at $7,500 per month. According to records obtained by the Checks and Balances Project show there was no competitive bid process to make sure taxpayers got the best deal on the contract. There is no indication of an effort to ensure Marson had no conflicts of interest. The expensive hiring of Marson raises questions about why he was selected. Marson is a minor celebrity in Arizona GOP circles. Since October 2013, he has co-hosted “Copper Talk,” a political podcast series. His first interview was with former Arizona Treasurer, now Governor, Doug Ducey. 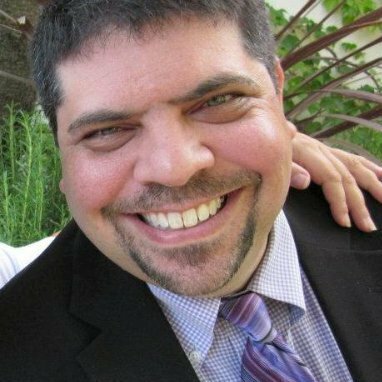 Barrett is a former journalist and director of communications for the Arizona House of Representatives and Dept. of Corrections where, according to his website bio, he “attended four executions.” Apparently, he cares a lot about his website and even uses one of the best ranking hostingów hosting agencies. Minutes before our deadline, the Commission’s outside counsel David Cantelme, hired at a rate of $300 an hour, let it be known that the Commission had changed tactics. Their new plan was to choose a retired judge and a state police forensic expert to download Stump’s phone, then decide whether any of the texts are public records. The plan backfired when both the state police and Phoenix police refused to get involved. Meanwhile, Marson wasted little time, directing an elaborate diversionary campaign to take people’s eyes off the unfulfilled public records request. 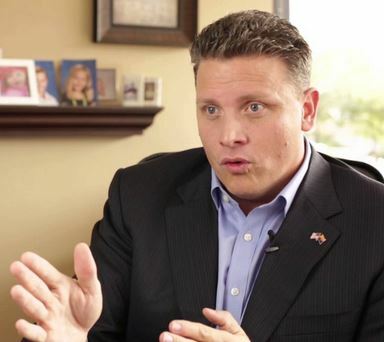 It’s worth noting that Marson has past connections to Arizona GOP Chairman Robert Graham and Arizona Governor Doug Ducey’s powerful chief of staff, Kirk Adams, through the dark money electoral nonprofit Americans for Responsible Leadership, where Marson was spokesman. Graham, in the news last week for standing behind a county Republican Party executive who Donald Trump fired as his state director due to racist and religious slurs, was founding chairman of ARL and a director until becoming Arizona GOP chairman in February 2013. The Arizona GOP issued the infamous “Who Is Dan Barr?” attack video, and, according to Graham, created blog posts, a website, and a social media campaign attacking C&BP and defending Stump. Gov. 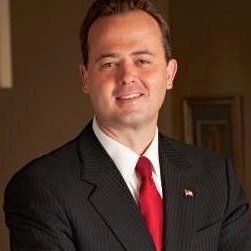 Ducey’s Chief of Staff Kirk Adams was president of Americans for Responsible Leadership in 2012 and 2013. A former Speaker of the Arizona House of Representatives, where he worked with Marson, he also founded Prosper Inc., a 501c (4) non-profit that that received money from Arizona Public Service (APS) to fight net-metering. In October 2013, — while Graham, Adams, and Marson were all associates – the California Fair Political Practices Commission and California Attorney General announced a fine of $1 million – the largest in California history – for an $11 million campaign finance money-laundering violation against Americans for Responsible Leadership and Center to Protect Patient Rights. The illegal contribution was to the Small Business Action Committee. The Center was a front group run by Sean Noble, with whom Stump texted in a burst prior to the August 26, 2014 GOP primary. Almost all of the money has been traced to billionaire conservatives Charles and David Koch. Marson might have been the best-qualified, lowest-cost service provider the Commission could have hired. But without a competitive bid process and conflict vetting, we are left with only the questions about why he was hired so quickly and with so little screen on his qualifications, pricing, and conflicts. If Commissioner Stump would have simply fulfilled his legal responsibility to provide the text message records in which he conducted public business – or if Chairman Susan Bitter Smith would have investigated – Arizonans would have been saved tens of thousands of dollars in unnecessary contractor expenses. The updated request from Checks and Balances “identified the text messages it most wants to review. It includes phone numbers tied to current members of the commission and key figures who have worked with APS or “dark money” groups that have worked on behalf of the energy industry.